Target: For people who are new or relatively new to Ableton Live and want to develop strong foundations for using this extremely versatile and creative tool. This is also an excellent refresher course, including for those who have upgraded from Live 9 to Live 10. The course begins with recording and editing audio and MIDI. We will also cover the use of different kinds of templates (sets, tracks, devices, and racks) that will accelerate your music creation. You will learn various workflows — including many editing improvements in Live 10 — using both the Session and Arrangement Views to generate ideas and create an arrangement. The new creative features (Audio-to-MIDI, clip automation recording, advanced editing, analog filter emulations, etc.) 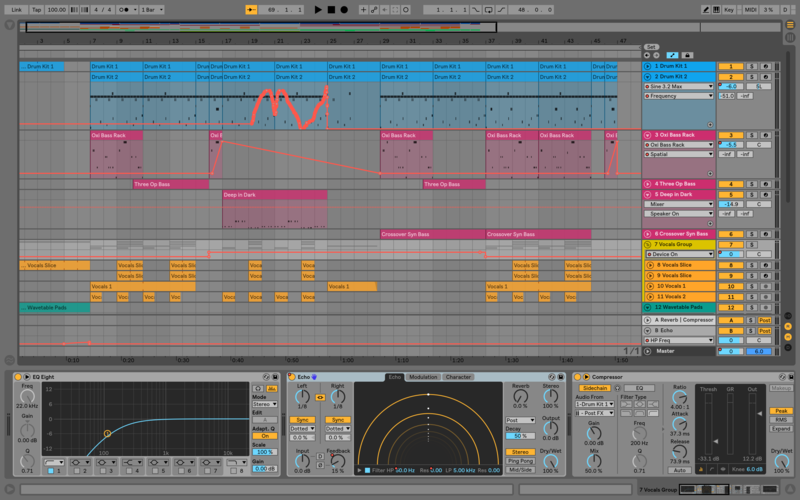 of Ableton Live 10 will also be covered during this weekend course. recording strategies: Session or Arrangement? Back to Session: what is happening where? compressors, limiters, and EQs: what, when, and how?